Sonic Adventure Remix is a single disc release by Toshiba EMI Limited, in conjunction with Sega. As evidenced by the title, the album is a collection of remixed and reinterpreted tracks from the vocal mini-album Songs With Attitude, which had been released two weeks prior. Every song from that album is represented here at least once, with the exception of "It Doesn't Matter." The CD itself comes in a sleek package, along with liner notes and a sticker featuring Sonic the Hedgehog. A promotional 12" vinyl EP was distributed in limited quantities in Japan. 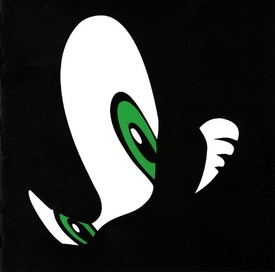 Containing only four songs from the album, it was never available commercially, making it one of the rarer Sonic-related vinyls. ART DIRECTION & DESIGN: SHUICHIRO MURATA & MEGA GRAPHICS INC.